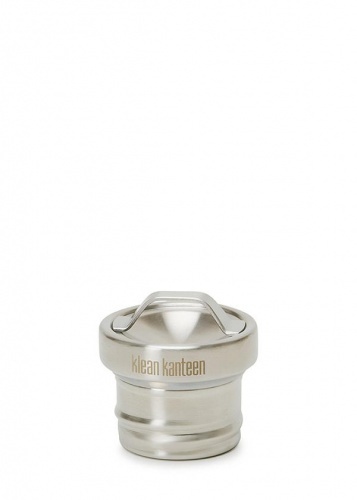 Klean Kanteen Replacement Steel Loop Cap - Suitable for all Klean Kanteen Classic Water Bottles - Zero Plastic! Our Summary: Exceptional water flow, clean crisp taste every time, plenty of room to add ice cubes, easy to handwash with a bottle brush. The 32oz growler is perfect for those who prefer sparkling water, fizzy drinks or Kombucha on the go. It's also ideal to transport beer, keeping it cold and fresh for hours - cheers to that! The Insulated Growler 32oz bottle is premium, full stainless steel, plastic-free and designed for keeping carbonated beverages at their peak freshness and taste. The leak proof Swing Lok Cap is easy to open and maintains a proper seal needed for beer, wine, cold brew and Kombucha. The climate lock double-walled vacuum insulation keeps drinks cold for 30 hours and iced for 80 hours!